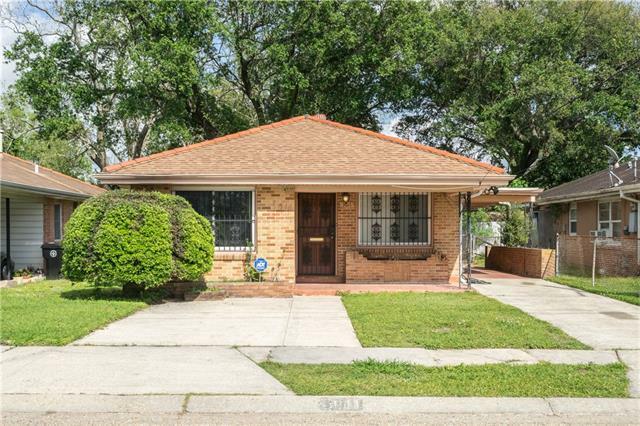 Clean & airy 3bd/2ba home! Covered front porch opens to dining space with recessed lighting, then connects to the kitchen, featuring plenty of cabinet storage, breakfast bar, & included appliances. Also, 3 independent bedrooms, utility rm with WD hookups, & large family room in the back, where you'll enjoy a wet bar, vaulted ceiling, exposed beams, skylights, & backyard access. Outside includes a covered carport, plenty of driveway space, fenced & shaded backyard, custom brick grill, & 9x10 storage shed.